Based on the sixth edition of Sternberg’s Diagnostic Surgical Pathology, this multiple choice question and answer resource covers all aspects of Surgical Pathology and is an ideal review tool for board preparation, recertification exams, or just brushing up. Now significantly revised, it includes more than 1,000 questions and answers that emphasize differential diagnostic aspects of problem solving, accompanied by more than 600 full-color illustrations. Offers a systematic review of Surgical Pathology, including skin, soft tissue, bone, and joints; breast; central nervous system; endocrine system; hematopoietic and lymphatic systems; head and neck; intrathoracic organs and blood vessels; alimentary canal and associated organs; urinary tract and male genital system; and female reproductive system and peritoneum. 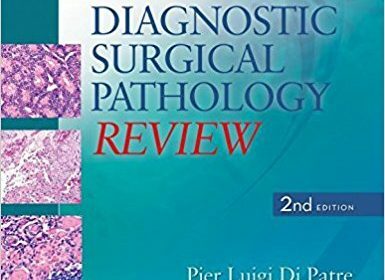 Each question focuses on a specific disease entity or diagnostic problem as presented in Sternberg’s Diagnostic Surgical Pathology, Sixth Edition. Questions are followed by answers and succinct explanations.